Nov. 12 marked the end of the season for Whitman’s cross country teams after a tough race at the NCAA Division III West Regionals in Salem, Oregon. This came two weeks after a strong showing by both the men and women at the Northwest Conference Championship. 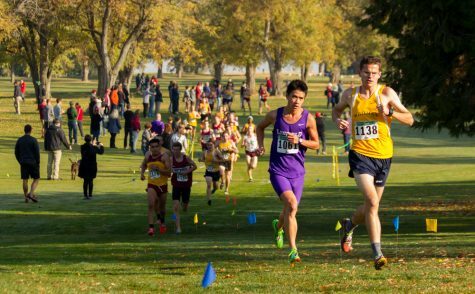 The cross country season begins in August and builds to the Conference and Regionals meets, with only those events determining champions. “Heading into the championship season, we started to cut our mileage and do some shorter and faster workouts. By that point in the season, we had already built up our endurance and by working on speed and turnover before our last races, we were just putting it all together,” sophomore Lucy O’Sullivan said. The strategy paid off at Conference, where the men finished in third place with senior Caleb Moosman, senior Matt Wotipka and first-year Eli Fourier leading the Blues. The women finished in sixth, just one point from fourth, with the leaders being first-year Whitney Rich, junior Camille Anderson and senior captain Laura Ruegg. “Most of the women had their best races of the season at conference, myself included. Nearly all our runners got PR’s. While we had hoped to place a bit higher as a team, our individual results and fast times show just how tough we all ran and I’m super proud of our team,” O’Sullivan commented. Regionals, however, did not quite return the results the group had hoped for. The women’s team placed 14th and the men’s team finished at 12th. “Regionals was a grind. I had been hoping to do better than I did. But after going out in a good position and hitting a wall, all I could do was dig in and fight it out, holding onto my place as best I could for the rest of the race. I think for much of the men’s team, the experience was similar to my own,” Moosman said. 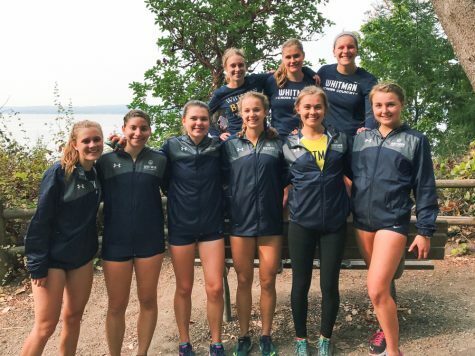 Rich, who was the top finisher for the Whitman women at both Conference and Regionals, saw some positives in the meet. “The level of competition was awesome. As a team we ran hard despite a few teammates being sick. As a team we improved throughout the season and I think that was visible in our performance at regionals. Many of us placed higher in the conference at regionals than we did two weeks prior,” she said. The recognition marks a bright end to a season of ups and downs. While many runners made significant gains over the course of the season, illness and injuries prevented the team from reaching the goals they set at the beginning of the year. Still, the team is already looking ahead to the coming season. “The team has a tough road going forward. We’re losing five seniors. However, I feel like our upcoming leadership and younger runners have a lot of passion. It wouldn’t surprise me if our team manages to maintain or even improve their conference standing in the coming years,” Moosman said. 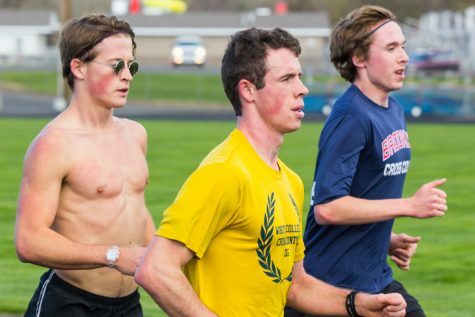 After a long and tumultuous season, Whitman’s cross country runners will take a moment to reflect before continuing to prepare for next year with track workouts in the spring.